A delicious intensely flavoured Organic Raw Black Sesame Tahini. 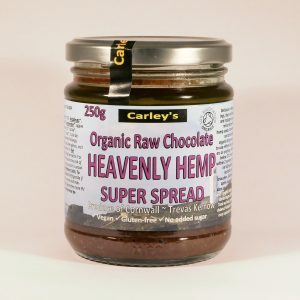 A delicious intensely flavoured Organic Raw Black Sesame Tahini spread made with calcium rich black Bolivian sesame seeds. 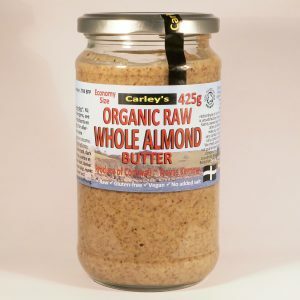 The seeds are finely cool milled to a smooth spread with cold pressed fair trade sesame oil, this incredibly mineral rich product is the result! 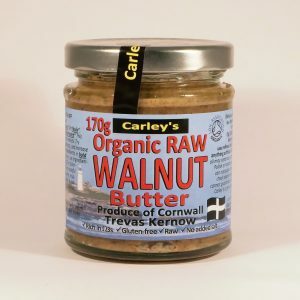 Exceptionally nutritious and delicious and great for cooking too! 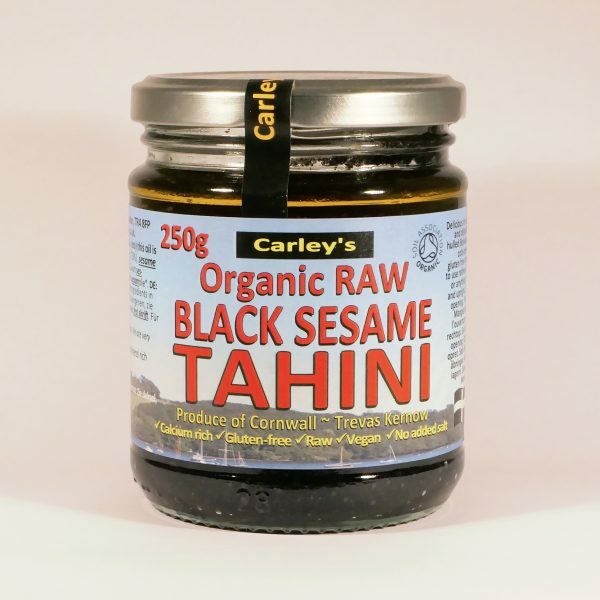 Our Organic Black Sesame Tahini tastes amazing blended with some nut or seed oil, some chilli flakes, ginger and lemon juice and drizzle over some steamed vegetables and on sushi! Yum! Send us your recipe ideas, we love to hear them! Just two ingredients, both raw: (* = organic / bio / øko / eko) (The oil is cold-pressed and fair trade ) Black sesame seeds* (70%), sesame oil*. FR: Graines de sesame noir*, huile vierge de sésame*. NL: Zwart sesamzaad*, koudgeperste sesamolie*. DE: Schwarz sesamsamen*, Sesamöl bio native*. For allergens, see ingredients in bold, Pour les allergènes, voir les ingrédients en gras. Voor allergenen, zie bestanddelen vetgedrukt. We are very careful to avoid any risk of cross contamination. However, as we also process peanuts, mustard, and nuts, traces of these may be present. 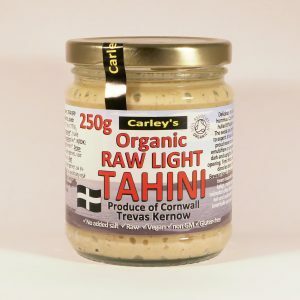 Our raw tahinis all naturally have a strong mineral rich slightly bitter raw sesame seed taste.